We are pleased to present the first installment of Odyssey Interviews, an occasional feature that will offer interviews with special guests who have some connection to Jerry Goldsmith and/or his music. In our debut interview, Yavar has a conversation with internationally acclaimed conductor Leonard Slatkin, Music Director Laureate of the Detroit Symphony. Slatkin maintains a rigorous schedule of guest conducting (he has conducted virtually all of the leading orchestras in the world) and is active as a composer, author, and educator. He has received 6 Grammy Awards and 33 nominations, and is a recipient of the prestigious National Medal of the Arts. 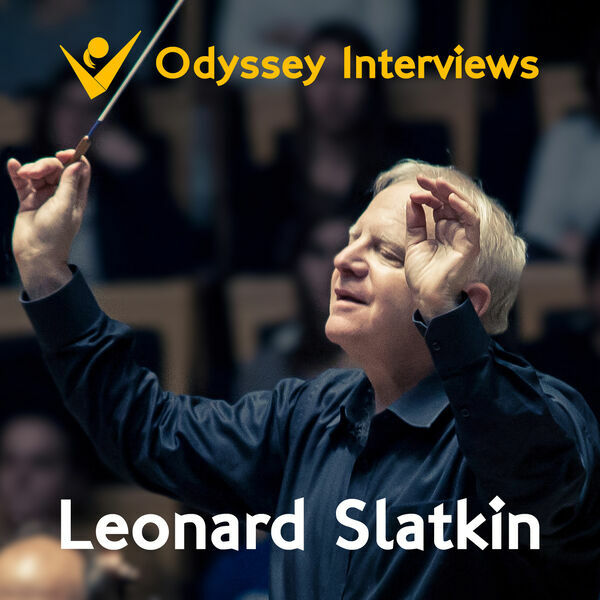 Over the course of this interview, Slatkin discusses growing up in the world of film music, his family's relationship with Goldsmith, commissioning Goldsmith's Music for Orchestra, and much more. For up-to-date information on Leonard Slatkin and his work, visit his website.